No matter what size home you have or what style decor you favor, sooner or later we all need to buy a sofa It’s the great equalizer. And while buying a sofa seems like an easy task, there are actually quite a few things you need to consider before you pull out your credit card. To help you on your sofa-buying journey, we’ve put together a step-by-step game plan that will guide you along the way. Before you start any of your prep work, you need to get clear about what your budget is. Even if you don’t have much to spend, there are lots of options out there, so don’t feel bad if you’re not a lottery winner. Remember that a good sofa is definitely an investment. However, if you plan to have it (and use it!) for many years to come, it helps to soften the blow of outlaying a big chunk of change. Next, you’ll need to measure your space. I find it’s helpful to use some masking tape and actually tape out the footprint of the sofa you’re envisioning on the floor. If you already have a sofa there that you need to replace, measure your existing sofa and take note of any additional space you might have to add to the length or width. If your sofa is going up against a wall, it’s helpful to measure the wall. Take note of any irregularities you might need to deal with, such as a narrow door, a narrow staircase or other potential obstacles. This next step is the really fun part. Spend time online looking around and getting inspired. Click around HGTV.com, Pinterest and your favorite design blogs to grab some pics of sofas and room setups that you like. You could even make a dedicated Pinterest board for all of your sofa pics. If you’re deciding on a sofa with a spouse, significant other or even a roommate, make sure you set up a system that lets everyone feel a part of the process. If you’re taking the Pinterest board route, make sure you invite the other person to your sofa board so you can both pin together. How many people do you want to seat? Do you have pets? Kids? What types of materials do you like? What type of setup will work best for your home? Do you need a sofa with a pull-out bed? Will a sectional or L-shaped sofa work for your space? What style sofa do you like best? Will you be mostly sitting on the sofa, or do you plan to lay down and take naps, too? After you answer these questions and feel a bit more clear on which direction you’d like to go in, start looking around online and researching all of your options. Try to narrow down your choices to your top three favorites. As you look around online, take note of some of your favorite Sofa styles, keep an eye out for any sales! Liquidation stores always have the best price and they have access to many vendors that can design different styles. This article was made by www.hgtv.com. 7 Ways to Buy a Better Mattress. You spend a third of your life in bed, so why settle for a mattress that leaves you cranky or in pain? Here’s how to find the right one. O sleep! O gentle sleep! . . . The promise of a sound and peaceful rest has inspired people to wax poetic for centuries. The trouble is, assembling the dreamiest combination of mattress and pillow is something closer to a nightmare for a lot of consumers. And there are plenty of reasons why. For starters, if you want to replace your old mattress with the same brand—as 1 in 5 respondents to our new survey of nearly 62,000 Consumer Reports subscribers has done—you probably won’t be able to get the same model. That’s because manufacturers regularly discontinue or rename their products. Names and claims on mattresses range from the ethereal to the incomprehensible. Salespeople invariably hint at nocturnal disappointment unless you buy the priciest pick in the place. And trying to approximate the intimacy of sleep by lying down on a mattress in a fluorescent-­lit public space can be awkward at best. On the plus side, mattress makers are experimenting with new methods of construction, rearranging the layers of foam as well as the placement of coils in innerspring models in a bid to improve comfort. Meanwhile, savvy online retailers are trying to improve the shopping experience by removing the store from the equation altogether. And they’re doing a good job: The highest satisfaction scores from our survey went to two of the newer mattress brands in America—online outfits Casper and Tuft & Needle. They’ll ship a foam bed-in-a-box to your front door for a very competitive price. As for performance, Casper took the top overall score among foam mattresses. Innersprings, however, are still the most common type of mattress sold, although that seems ripe for consumer reconsideration. In our survey, 65 percent of respondents said they were highly satisfied with innersprings, vs. 75 percent of memory foam owners and 80 percent of adjustable-air owners. Perhaps not surprisingly, then, memory foam mattresses are growing in popularity. And adjustable air mattresses, such as those sold at Sleep Number stores, rate very well in both our mattress tests and reader survey, especially among those who report neck pain, back pain, sleep apnea, and other health problems. Whether you already have an idea of what you want or are starting from scratch, we think you should give your mattress choice at least as much consideration as a new car. True, it’s only a fraction of the price, but you spend nearly a third of your life in a prone position, so making the wrong choice has consequences. “If your mattress is uncomfortable, it could disturb your sleep, exacerbate orthopedic problems, or possibly have a negative impact on your long-term health,” says Michael H. Bonnet, Ph.D., a neurology professor and sleep expert at the Wright State University Boonshoft School of Medicine. That’s why we put every model we purchase through rigorous tests utilizing actual people as well as use sophisticated equipment to measure support and firmness. These machines pummel and abuse the mattresses to gauge how they’ll hold up over time. Then we tear them apart to expose what’s inside—springs, layers of foam, gel-infused foam—to determine which materials improve performance. This year, we’ve introduced some methodology improvements, including a way to matchmake a mattress for you and your honey. There’s no set rule for when to replace a mattress—we test them to approximate eight to 10 years of use—but there are some telltale signs that you should. Some you can plainly see, such as rips, divots, or stains (your old dog is sleeping with you, isn’t he?). Others you can feel, for example if your hips and shoulders now sink deeply into the mattress. Still other signs you can’t see at all: Your mattress and bedding provide an ideal environment for dust mites that can trigger allergies or even asthma. So if you wake up sniffling every morning, your mattress may be to blame. You can use other observations to guide your choice in something new. If you feel lumps or sharp points, that could indicate damage to the inside of your mattress, so look for a model with a high durability score in our ratings. If you and your partner wake each other up while tossing and turning, look for a high stabilization rating. If it seems like mattress showrooms are on every block these days, that’s because they are. There are more than 12,000 bed and specialty mattress stores nationwide, and the number is growing. If you can’t find something you like at Mattress Firm, you can wander next door to Sleepy’s (which, by the way, is now owned by Mattress Firm). Not that having more choice helps, given how fruitless it is to compare a mattress sold at one store with one sold at another. A “Blissful Featherweight” here may be nothing like the “Delightful Featherlite” there. And because manufacturers’ descriptions of firmness are so fanciful and sometimes fact-free, we suggest ignoring them altogether and instead checking our mattress ratings. Firmness is now presented on a handy scale from 1 to 10. As awkward as it can be, we stand by our longtime advice to try before you buy—meaning, kick off your shoes and lie down on a prospective pick for at least 15 minutes in the position you usually sleep in. In our survey, nearly 20,000 readers bought a mattress in the last three years. Among those who tried it out in the store, the more time they spent testing it before buying, the higher their satisfaction: 77 percent of respondents who spent more than 15 minutes were especially happy with their purchase. Fewer than 1 in 5 people actually do that, our survey shows, though 28 percent do lie down for a few minutes. If you want to minimize some of the weirdness of publicly test-driving a mattress, consider visiting one of the more well-regarded mattress or furniture specialty stores in our survey. The Original Mattress Factory was the top-rated store, followed by several regional chains, including Nebraska Furniture Mart, Havertys, Jordan’s Furniture, and Bob’s Discount Furniture. Macy’s, a traditional department store, received only middling scores for price and selection. Costco—where you can’t try a mattress in the store because they’re standing upright—got a top mark forprice but fared poorly on selection. That might be just fine, given that the warehouse club makes one of our top-rated mattresses, the Novaform 14” Serafina Pearl Gel. And it may be a sign of where the market is heading that 57 percent of readers who bought a mattress from Costco did so online. For those who want the ultimate convenience of buying online and skipping retail stores altogether, there are more options than ever before. Startups like Casper and Tuft & Needle are getting a lot of attention for their high-performing bed-in-a-box foam mattresses, but the fact is that you can buy almost any mattress online, innersprings included. It might seem risky to buy a mattress without trying it, but consider that Amazon, which sells all types of mattresses, topped our retailer ratings among all sellers. It’s excellent on price as well as on-time delivery. The limitation is that should you want to try a mattress in a store before purchasing it online—a practice known as showrooming—you wouldn’t be able to. That’s because you won’t find the mattress you tried at, say, Ethan Allen on Amazon because it’s exclusive to that store. You can try the mattress in the flesh but then buy it virtually, although you might need to stick to that retailer’s website. If you have no qualms about buying a mattress sight unseen, try a bed-in-a-box. The foam mattresses are compressed, packed into a box less than 4 feet tall, and delivered to your doorstep by UPS or Fed­Ex. These foam mattresses can be heavy—100 pounds or more for a queen-size—so you may need a friend to help you move it to an upstairs bedroom. Once you get it there, carefully slice open the packaging to let the mattress return to its original shape; it’s actually fun to watch. When buying a mattress online, don’t assume you can’t haggle—you can, and you may actually do better because you can maintain a true poker face when you’re virtual. Open the chat window, and when the customer-service rep responds, start the bidding. • Can You Get Hooked on OTC Sleep Aids? You’ll see mattress sales in the run-up to most holiday weekends, but you don’t have to wait for an official sale to get the best price. Mattresses have a huge markup, so don’t be afraid to negotiate with gusto. More than half of the readers in our survey paid $500 to $1,750 for a mattress; those shoppers who haggled saved a median of $205. Hagglers were most successful at the mattress specialty stores Mattress Firm, Mattress Warehouse, Mattress King, Sleep Train, and Sleepy’s. And shoppers often walked away with something free, such as a mattress protector or bed frame. 1. What’s the lowest price this mattress has sold for? 2. Can I have a price guarantee? If the mattress goes on sale within, say, 30 days, will you refund the difference? If you get a no to any of these, you can just say goodbye and walk out the door. After all, there’s another mattress store right down the block. When your new mattress arrives, prepare to be patient. Bear in mind that your old mattress is familiar to you, flaws and all. Mattress sellers typically offer anywhere from three weeks to three months for you to try out your purchase. Others offer what they call a comfort guarantee. So before you buy, study the small print for the trial-period terms and ask whether and how you can return the mattress if you discover you don’t like it. Give yourself at least two weeks to make up your mind. During that time, focus on the mattress and not your bedding—you want to limit the number of variables. “Stick with the same pillow for a while, so you can tell better whether it’s the mattress or the pillow that may be disturbing your sleep,” says Steven Scharf, M.D., Ph.D., director of the Sleep Disorders Center at the University of Maryland School of Medicine. On the other hand, if you didn’t buy a new box spring or frame for your new mattress, which some manufacturers recommend, you may not be giving it a fair shake. To increase your odds of getting a good night’s sleep on your new mattress, power down your gadgets 2 hours before you turn in and avoid eating a heavy dinner right before bedtime. Then, an hour before you hit the sack, dim the lights, read a physical book, listen to music, or otherwise relax. Make sure you know in advance what the store’s return policies are before you buy a new mattress. Some retailers charge various fees, restocking and otherwise. Mattress Firm advertises a 120-night Sleep Happy Guarantee and charges a $149 fee for an exchange or return. 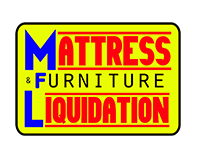 At the other end of the spectrum is the Original Mattress Factory, which accepts no returns or exchanges on upholstered bedding products. And that’s why it’s prudent to keep your old mattress during your trial period, as inconvenient as that can be. Returning a bed-in-a-box is another matter. For starters, it’s not realistic to think you can wrestle the bed back into the box. That’s why these retailers have developed a variety of ways for consumers to return mattresses, usually free of charge and with a full refund within 100 days. Then there’s the matter of getting rid of an old mattress. At least 20 million mattresses and box springs are thrown away each year—and one queen-size mattress can take up to 40 cubic feet in a landfill. That’s a shame given that 80 percent of the components in a mattress can be recycled. Some municipalities have restrictions on donating or reselling used mattresses, however, so check with your town. With innersprings, our recommended cleaning routine has always been to flip and rotate them twice a year and to clean them at the same time. But many of today’s mattresses, such as pillowtops, can’t be flipped because they have a dedicated top and bottom. Still, you’ll want to clean all mattresses twice a year. To do that, strip the bed to vacuum the fabric covering of the entire mattress with an upholstery attachment and spot clean any stains with an enzyme-based detergent or a mild dish detergent and water. Once the spots dry, sprinkle baking soda over the entire mattress and leave it for 24 hours. Then remove the baking soda with the vacuum. And of course replace with nice clean bedding. Adding a mattress protector and a mattress pad will protect the mattress and extend its life, promoting many more restful nights of sleep. Editor’s Note: This article also appeared in the February 2017 issue of Consumer Reports magazine.